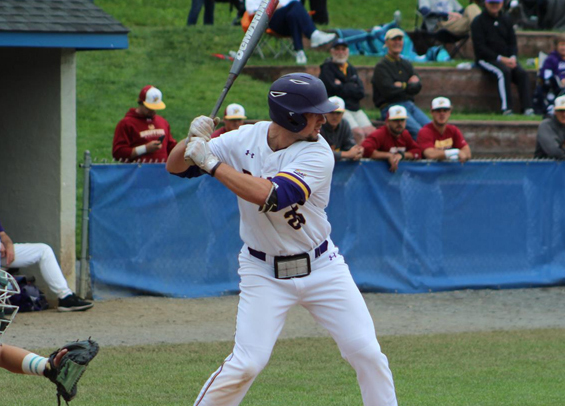 West Chester has long been a college baseball powerhouse and that streak will continue again this season as the Rams are already garnering national attention. The program opens the season ranked No. 25 and has five players included in our All-Philadelphia Region NCAA D-II Preseason Team. Catcher: Eric Gilham (SR) | Chestnut Hill - Earned 2018 All-CACC Second Team honors, while posting a .373 (50-for-134)/.480/.433 slash line that produced 24 runs and 34 RBI. His .373 mark was the program's third-best single-season average ever. Pieced together a .985 fielding percentage behind the plate. First base: Jared Melone (SR) | West Chester - Comes back for his senior as a Preseason All-America and First-Team Preseason All-Atlantic Region selection by the NCBWA. The reigning Player of the Year in the PSAC, ECAC, and D2CAA, he led the country in batting average (.469) and topping the PSAC in both hits (84) and RBI (69) during his junior campaign. Infield: Nick Amicon (SR) | USciences - Led the team with 46 hits and a .329 average. He was second on the team with a .421 on-base percentage and 140 at-bats, third with 22 RBI and a .386 slugging percentage, fourth with eight doubles, and fifth with 20 runs and 18 walks. Infield: Ameir Uzzell (JR) | Chestnut Hill - Stole 17 bases and hit .282 for the Griffins last season in 43 games. Outfield: Timothy Brodhag (SR) | Jefferson - Owned a .297 batting average, .367 on-base percentage and .456 slugging percentage and was named to the All-CACC Second Team. Outfield: Drew Jarmuz (SR) | West Chester - Recorded a .321 batting average (43-134) with 27 runs, a triple, three homers and 32 RBIs last season. Ranked second on the team with 14 doubles and committed just one error over 71 chances. Outfield: Joey Coyle (SR) | West Chester - Collected 29 hits with six doubles and four home runs with 30 RBI in 108 at bats last season for the Rams. Pieced together a .435 slugging percentage and a .375 on-base percentage in 2018. Pitcher: Jon Fisher (SR) | West Chester - Named Second Team All-PSAC last season and went 5-2 in eight starts. His 2.76 ERA in 45 2/3 innings pitched led the Rams staff. He also recorded two complete games and finished the season with 37 strikeouts. Pitcher: Andrew Scarpelli (JR) | West Chester - Made 17 appearances in relief last year for the Rams while limiting opponents to a .180 batting average. Posted a 3.91 ERA and collected two saves.